Andraya is Chair of Osler’s National Franchise and Distribution Practice Group, one of the most frequently recommended law firms for franchise law in Canada and an elected member of the Firm’s Partnership Board. She is also Co-Lead of Osler’s Retail Practice Group. She practices business law with an emphasis on franchising, distribution, privacy, and e-commerce law. Andraya has extensive experience advising Canadian and International franchisors and retailers of all sizes operating in a broad range of industries, including quick service restaurants, consumer goods, pharmacy, automotive, real estate and hospitality. 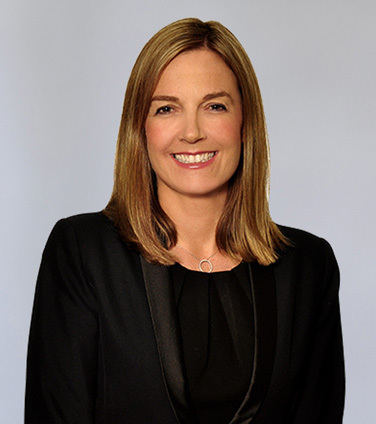 She counsels franchisors on structuring international and domestic franchise transactions and preparing “best in class” franchise agreements and franchise disclosure documents for use in Canada’s increasingly complex franchise regulatory environment. Andraya has developed particular expertise on advising foreign franchisors and retailers expanding their operations to Canada. She helps them maneuver through significant judicial, statutory and cultural differences between their home states and Canada to help ensure a smooth and successful entry into the Canadian market. She also regularly advises franchisors, retailers and on-line businesses on Canadian distribution and trade practice law, including privacy, anti-spam, consumer protection, Internet sales, advertising, and telemarketing. Regis Corporation in connection with its sale and subsequent franchise of substantially all of its mall-based salons in Canada. Target in connection with the wind-down of its Canadian operations, including its franchised pharmacy operations under the Companies’ Creditors Arrangement Act. Tim Hortons in connection with its $13 billion acquisition by an affiliate of Burger King Corporation. General Motors of Canada Limited in its successful out of court restructuring and General Motors Corporation in connection with its successful sale of substantially all of its assets to General Motors Company under section 363 of Chapter 11 of the U.S. Bankruptcy Code. Developed customized franchise agreement and ancillary agreements for use by start-up franchisors. Created and regularly update national franchise disclosure documents for use across Canada in both regulated and unregulated provinces. Advised franchisors in connection with newly formed Franchisee Associations. Assisted US franchisors entering Canadian market with area developer and master franchise programs, as well as direct franchising model. Assisted Canadian franchisors on rollout of franchise programs into the US and internationally. Acted on public offering of securities, income trust and royalty trust offerings involving franchisors, including Pizza Pizza and Second Cup. Adapted consumer agreements for compliance with consumer protection laws, including Internet sales, gift cards, telemarketing, consumer credit disclosure, leasing, rent-to-own, prepaid services, direct sales, matchmaking services, and weight loss and fitness centres. Developed privacy policies and website terms and conditions for national franchisors, retailers and on-line businesses. One client enthused: "She is off the scale effective at communication, and it almost goes without saying that she is a subject matter expert." One client noted: "She has a keen ability to thoughtfully approach legal and business issues to find a solution that meets the needs of all stakeholders." She is further noted for her expertise in contentious matters and the sale of franchised outlets. Who’s Who Legal: Canada, 2014-2018: recognized in the area of Franchise Law. “…noted for her “know-how and skill” and “excellent reputation.”"
A trusted resource to help you navigate your way through franchise issues – written by Osler’s franchise law experts.